“No one can deny the power of the spoken word, whether it’s a 90s classic or your favourite audiobook,” Bolton says. A VIP performance in partnership with WSFM will be held for competition winners and media at Sydney’s The Beresford Hotel to celebrate the launch – which coincides with Bolton's upcoming Australian tour in June. 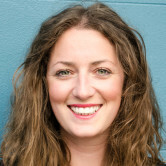 ‘Said I Read You… But I Lied’ is Audible.com.au’s fourth local campaign. 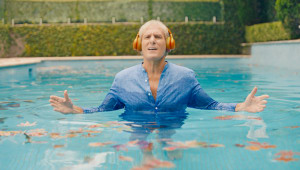 Amazon-owned Audible.com.au has launched a multi-channel integrated campaign featuring singer Michael Bolton. In partnership with social video content marketing agency Emotive, the spot sees Bolton remake his 1993 smash hit ‘Said I Loved You… But I Lied’. Created and produced by Emotive, the music video reworks the lyrics into ‘Said I Read You… But I Lied’ and features silk robes, classic throwback hair styles, sweeping Sydney Harbour views and a pet lizard. Audible says there's a growing trend of Australians listening to audiobooks in the same way they listen to music and was inspired by its own research that found a number of Australians have lied about reading books. (See full lyrics below). Bolton is joined by several familiar Aussie faces in cheeky cameo roles such as fitness guru Tia-Clair Toomey as a personal trainer, radio host Brendan “Jonesey” Jones as a security guard and comedian Jordan Raskopoulos as a friend Bolton visits. The branded content will appear across TV, cinema, digital, social media and influencer channels, with Omnicom's M2M handling media buying and PR, and talent amplification managed by Poem. Bolton says he loves the idea of re-recording one of his hits with the aim of helping Audible.com.au inspire people to listen to more audiobooks, “while having a huge amount of fun in the process".